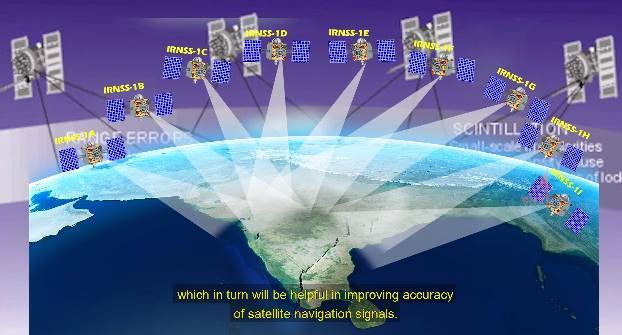 As a part of the Project Kautilya, India has developed indigenously and launched EMISAT (Electro Magnetic Intelligence Satellite) along with 28 other international customer satellites on 1st April, 2019 from SDSC (Satish Dhawan Space Centre), Sriharikota. With the successful launch of EMISAT, India has once again overtly emphasized its retentive intention to be among the few elite space faring nations. This is in quick succession to the Mission Shakti (ASAT) launched on 27th March 2019, four days before the lift off EMISAT. The PSLV C-45 rocket was used to launch EMISAT along with 28 other international customer satellites for deploying in different orbits. The PSLV C-45 was the latest variant QL with four strap-on motors and 48 tonnes of fuel. The frequent launch of militant satellites into space has become all the more necessary in the backdrop of heightening tensions on Indian frontiers lately. India had to spare a considerable amount of thought and fund allocation to strengthen its defence and security as well as to make itself more impervious to external sinister forces. The EMISAT and the ASAT (Anti Satellite Missile Test) which were released into space one after the other within a gap four days reveal the acute necessity to assert to the world its strong retaliative abilities and also to keep the poking neighbours at bay. The satellites would be of great use to carry nuclear war heads for use from space and to render enemy radars defunct as well as to perform surveillance duties. EMISAT was developed by DRDL (Defence Research Development Laboratories), Hyderabad. After 17 minutes from the lift-off, EMISAT got itself released from the PSLV C-45 in an orbit which is at an altitude of 749 kilometers. One hundred and ten minutes later, the 28 customer satellites were injected into an orbit of 504 kilometer altitude. Further, after a lapse of 180 minutes, the fourth stage of the satellite PS4 became a revolving platform carrying the three experimental research payloads in the orbit at an altitude of 485 kilometers. The last stage of launch was welcomed by international community as an initiative to reduce the congestion of space debris, in terms of the agreement with the United Nations. ARIS (Advanced Retarding Potential Analyser for Ionospheric Studies) which was to conduct study on structure and composition of matter in ionosphere. Out of the 28 co-passenger international customer satellites, 24 belonged to USA, 2 were from Lithuania and one each from Switzerland and Spain. ISRO has been adding to India foreign exchange reserves by offering commercial logistic services by launching satellites of other nations. 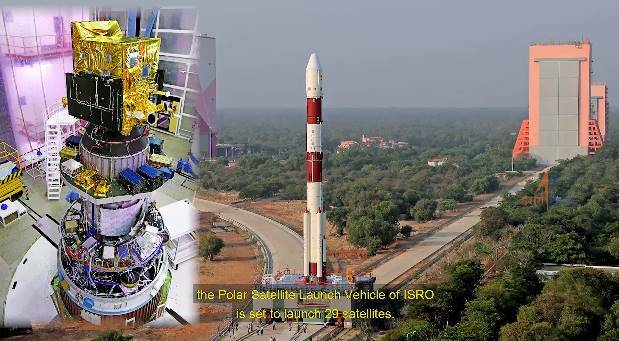 In the first week of April 2019, the grand total of satellites launched by PSLV comes to 353 satellites, out of which 25 were national satellites, 10 were built by students from Indian Universities and 297 were international customer satellites. ISRO had earned US $ 279 million for the financial year 2017-18 alone. International commercial deals for launching satellites are handled by Antrix Corporation Ltd., Bangalore. International customers find the launches by PSLV as financially lucrative since the outlay is one fourth of what is incurred on the launches by Falcon-9 of SpaceX in the United States. The launch of EMISAT through PSLV C-45 has set the stage ready for the future launch of RISAT-2B scheduled for May 2019.